ESL intermediate writing exercises are some of the most difficult lessons to develop or to find already developed on the Internet. There is a wealth of pedagogy and instructional material available for the beginning ESL writing student, and the advanced student can typically be exposed to mainstreamed material. Exercises for the all-important middle ground, the intermediate ESL student, are not easy to find. Without a well-conceived theory to take students from the basic level to the advanced level, many second language learners get trapped in a quagmire of not quite being fluent and not quite being beginners. This sort of linguistic purgatory is highly frustrating and can be avoided with the proper implementation of ESL intermediate writing exercises. The Internet has long been a useful source for ESL instructional material, but the overwhelming amount of content that is available can make the act of getting to the good stuff tedious. This information below has been selected because of its usefulness with the ESL demographic that is not quite advanced, yet is past the stage of being a beginner. A Guide to Learning English Writing Exercises - Hosted by the Frankfurt International School, this English learning resource offers many useful lesson ideas for ESL teachers looking for material for intermediate writers. ESL Letter Writing Exercise - This article reflects one of the important philosophies of writing pedagogy that has gained popularity in recent years, which is that writing is learned more naturally if the goal is a practical one. If their writing has a real world purpose, students are able to better support their claims and to produce meaningful sentences. 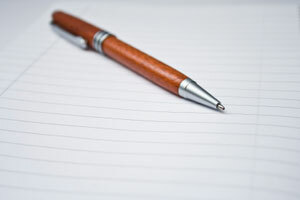 Letter writing can take the form of a personal letter, a letter to the editor of a newspaper or an email. Whichever way, this is one of many proven effective ESL intermediate writing exercises. ESL Galaxy - This site has links and resources for intermediate ESL writers including exercises on seasons, weather, clothes, dining out, holidays, using the future tense, and many more. Linguistic Funland - The links on this website provide a wide range of exercises for ESL instructors working with intermediate writers. One factor to keep in mind when preparing lessons for intermediate writing students is that the resource need not be specifically geared for ESL students to be useful. The following texts are extremely well designed for intermediate writing instruction and can be tailored to meet the needs of your classroom's population. Effective Writing: Writing Skills for Intermediate Students of American English - This book from Cambridge University Press is rich in exercises for the student with basic ESL skills. Northstar: Focus on Reading and Writing - This book takes the approach of integrating reading and writing exercises. The connection between reading and writing has been proven to be important in the development of language skills for second language students. Tools for Writing: A Structured Process for Intermediate Students - This book is geared towards the student's writing process and how it can be developed to produce the most successful finished product. Working to ensure fluency in language learners is a multi-staged process. Taking students from the most basic lessons to the advanced stage requires careful attention and a focused pedagogical philosophy. With the above resources and a thoughtful instructor, an ESL student will transition to the advanced stages of English proficiency in a natural and productive manner. "ESL Intermediate Writing Exercises." YourDictionary, n.d. Web. 21 April 2019. <https://esl.yourdictionary.com/lesson-plans/ESL-Intermediate-Writing-Exercises.html>.